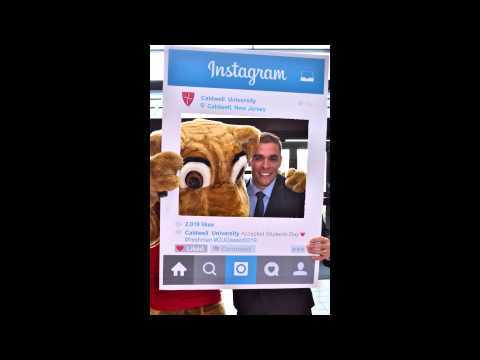 Caldwell University Accepted Students Day on March 28 was the university’s largest ever featuring more than 270 high school students visiting campus for an informational and fun preview of college life. The high School students, who will be in the Class of 2019, and their families had the opportunity to hear from and talk with President Nancy Blattner, meet with faculty and visit academic departments to discuss majors, learn about the student services’ and career development offices, discuss individual financial aid awards, speak to representatives of clubs and residence life, stop by the campus store, and meet other potential students. They also experienced local cuisine at Taste of Caldwell. One highlight of the day was the information technology office table where more than five dozen “Caldwell” red long stem roses were gifted to moms who stopped by the table. 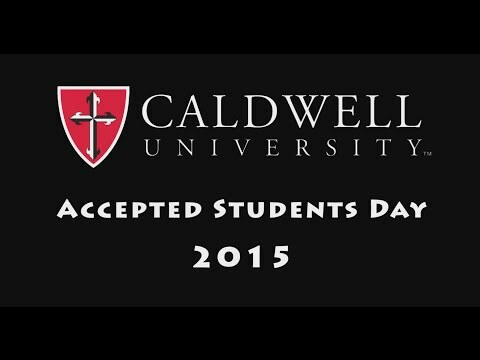 View the Facebook Album of Caldwell University’s Accepted Students Day 2015.